Nikon has extended their lens rebates through March. 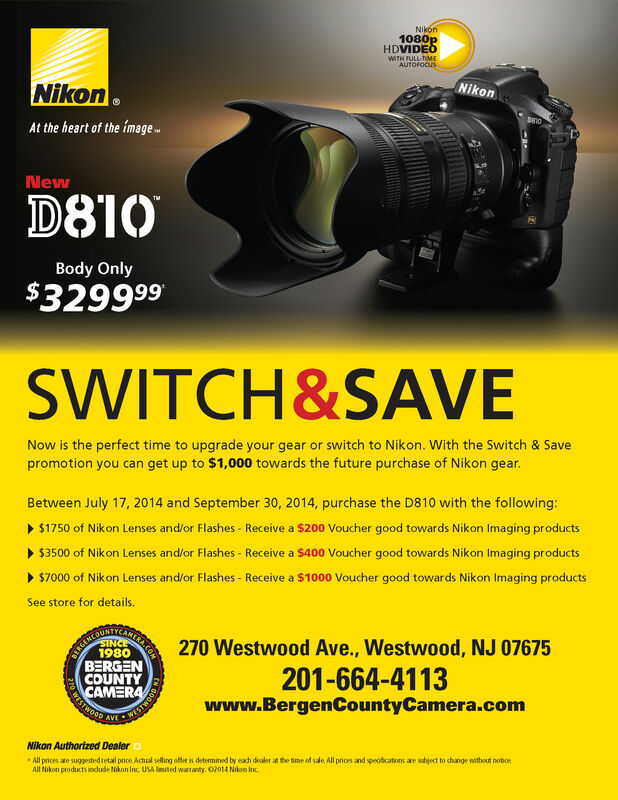 Click the image to the left or visit Bergen County Camera to view all the current savings on Nikon cameras and lenses. 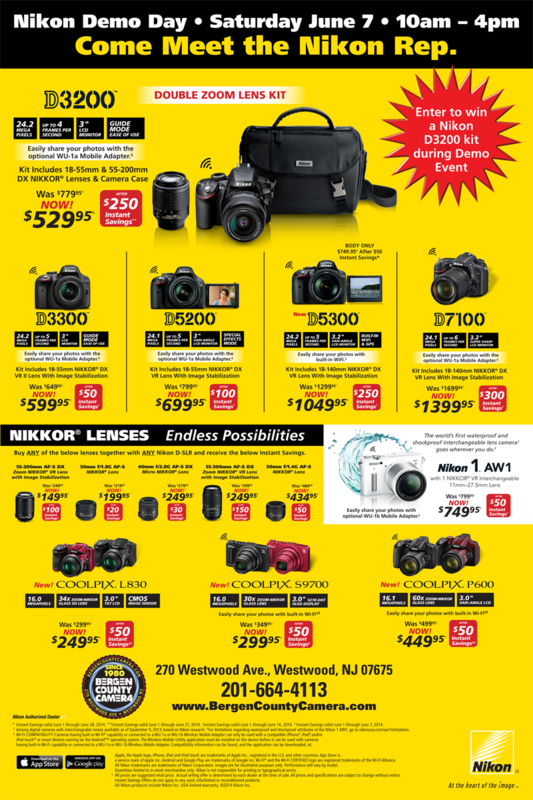 Nikon is offering some fantastic rebates on their brand new D810. The D810 switch and save program includes those switching to Nikon or just trading up to the D810 — the savings are tremendous. Check the Nikon D810 specs and details. Dealer prices may vary. Instant rebates and mail-in rebates available on select products only. Eligible product(s) must be purchased by an end user customer from a participating authorized Canon U.S.A. dealer in the 50 United States, the District of Columbia or Puerto Rico between the start date of the respective promotion through the end date of the respective promotion, or while supplies last, whichever is earlier. Used or refurbished products are not eligible. Limit one instant or mail-in rebate per eligible product purchased during the promotion period. Purchases made from a dealer are subject to the dealer’s shopping terms and restrictions and return policies. In the event of questions regarding claims, program or policy, Canon will review all documentation and make the final determination of claim eligibility. All decisions made by Canon and/or its agents are final. Void where prohibited, taxed or restricted by law. Prices shown are estimated retail prices and are subject to change without notice. Actual prices are set by individual dealers and may vary. Certain images and effects simulated. Products not shown to scale. Specifications and availability subject to change without notice. Not responsible for typographical errors. ©2014 Canon U.S.A., Inc. Canon, ELPH, EOS, EOS Rebel, SELPHY, PIXMA, PowerShot and VIXIA are registered trademarks of Canon Inc. in the United States.